Great way to advertise to your customer! 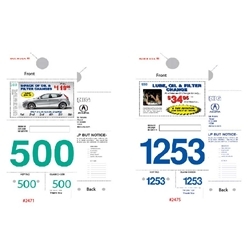 Coupon(s) are ready and hanging from the mirror, facing your customer. Perfed for easy detachment. Have the best of both worlds - a dispatch tag and coupons or advertisement - all in one!